The UK’s first street artist? 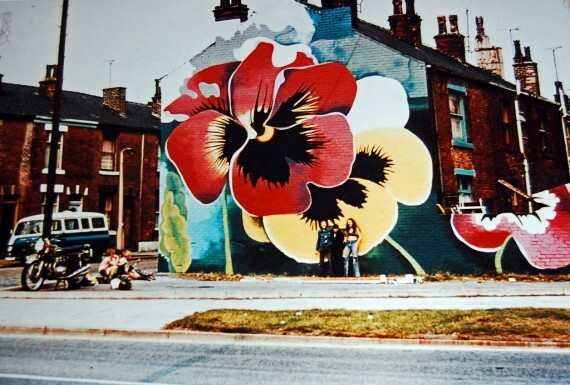 Long before Banksy, artist Walter Kershaw was painting large-scale murals on the sides of condemned council buildings in 1970s Rochdale. Now his work is being celebrated in a Radio 4 documentary. 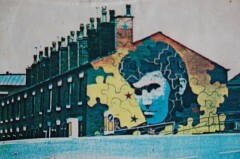 Writer, journalist and musician Mark Hodkinson grew up in 1970s Rochdale and remembers seeing Walter Kershaw’s vibrant graffiti emblazoned on the sides of condemned buildings in the town. This year, the BBC commissioned Hodkinson to make a half-hour documentary on Kershaw, which airs 13 September on Radio 4. Kershaw has since been formally commissioned to make various public murals – at Trafford Park for example. But it is the early works of street art that most appeal to Hodkinson and that live on most vividly in people’s minds – bold, spontaneous paintings made in the most unexpected places, that literally stopped people in their tracks. 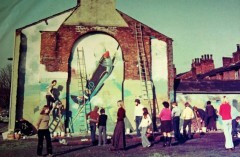 Walter Kershaw: The UK’s First Street Artist? is broadcast on BBC Radio 4, 13 September, 11.30am.